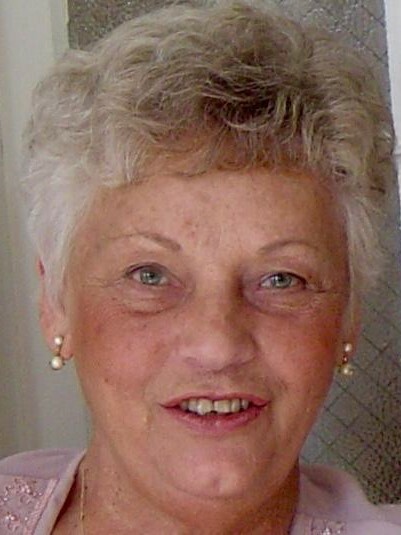 Obituary for Nancy Jean (Buckett) Johnson | Fleming & Billman Funeral Directors, Inc.
Nancy Jean Johnson, age 88, of Ashtabula, Ohio, passed peacefully to join her Lord and Savior on Saturday, March 23, 2019, at the Geneva Village Skilled Nursing Center. She was born Oct. 5, 1930, in Cleveland, the daughter of Stanley and Doris (Laurin) Buckett. A 1948 graduate of Ashtabula High School, she was a cheerleader and member of the vocal choir. After high school she was employed by Union Carbide. In later years she worked for Ashtabula Paper & Supply and Mikkelsen Greenhouse. She married Richard O. Johnson on April 25,1953 and they were married for 58 years before he passed in 2011. As an active member of Messiah Lutheran Church, she sang in the church choir for over 50 years and was a member of Rebekah Circle and Daytimers. She volunteered at Ashtabula General Hospital and for the Ashtabula County Covered Bridge Festival and enjoyed gardening, playing cards and spending time with family and friends including hosting extended family reunions. Surviving her are two sons, Scott (Karen) Johnson of Fountain Inn, S.C. and Jeff (Sylvia) Johnson of Cedar Park, TX; a daughter, Claudia (Peter) Scheibel of Presto, PA; six grandchildren, Lisa, Michelle, Kristen, Douglas, Erica and Jillian; nine great-grandchildren (with two more on the way shortly), and many loving nieces, nephews and cousins. Also, Robert Parks of Geneva has been a dedicated companion for the past several years. She was preceded in death by her husband, parents, and a brother, Robert Buckett. Following cremation, remains will be buried in Edgewood Cemetery. No services are planned at this time, but the family will have a celebration of life at a later date. Memorial contributions can be made to the Messiah Lutheran Church Memorial Fund, 615 W. Prospect Rd., Ashtabula, OH 44004. The Fleming & Billman Funeral Directors and Crematory, 526 W. Prospect Road, Ashtabula is in charge of arrangements and privileged to serve the Nancy Johnson family. To express condolences, view obituary or light a candle, visit fleming-billman.com.